Safaricom staff and CID officers are deeply involved in the scams where scammers based in Bomet County’s Mulot town defraud subscribers millions. According to sources within the tight knit criminal network, CID officers based in Nairobi and Mulot are complicit in the daily scamming schemes targeting subscribers with millions in their M-Pesa accounts. If your SIM is swapped and your money, both in the bank and Mpesa is withdrawn, there are high chances that you might never get it back. Kahawa Tungu’s Investigative Desk has delved into the matter and met one of the cartels, who has explained how the fraud occurs. Well placed Safaricom staffers will monitor your transactions and locate a victim, in this case one with good money in their Mpesa and the bank. They will then give information to cartels, who will initiate a SIM swap, without the owners consent or knowledge. Sometimes they call the customers claiming that the line has been registered twice, and they intend to rectify. Cunningly, they will ask for the SIM pin and tell the customer that the MPesa PIN is their secret, they should never share it with anyone. 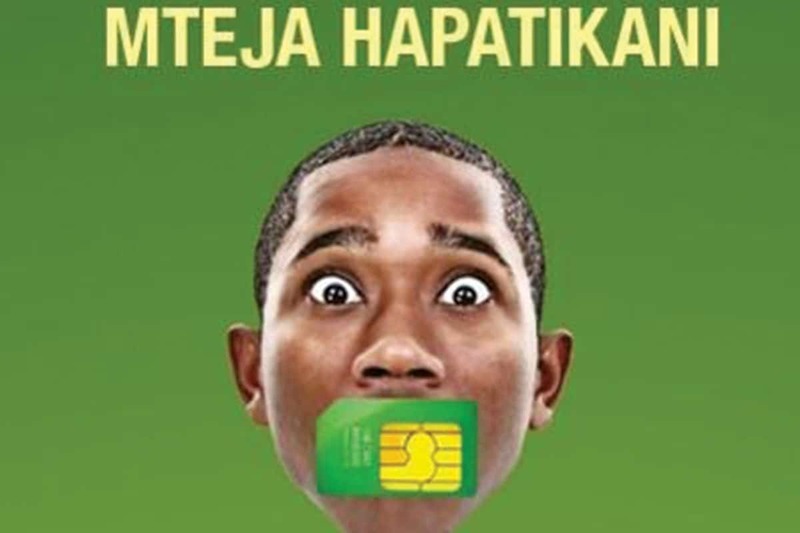 According to Mutiso*, a university student who has been on the business for one year, they will swap the Sim and create an ‘Mpesa service PIN’, which they use to transfer the money to their bank account without requiring the original MPesa PIN. Sometimes, they will get ‘start key’ from their sources at Safaricom and transact your Mpesa money as they will. Worse still is if your phone number is connected to your bank account, you might wake up to zero balance in your MPesa and bank account. “They (Safaricom staffers) get us the number of the customer who has some good cash, then we do a SIM swap. They will give us a code that we will use to get all the ID number. When we have the ID number we load it in the IEBC app which shows us even the location of the customer. When we call the customer, s/he really feels that you are from Safaricom, since you have all the details,” says Mutiso*, when he spoke to Kahawa Tungu. To avoid being discovered by their employer, the staffers will use their relatives and friends to pull strings. However, the camouflage is not enough security for them. This is where the police and the CID come in. The CID will ensure that the evidence ‘is not there or it is lost’, while the police will make sure that the case drags till you give up, in case you report. Mutiso* says that the cases do not go beyond the local police station level, since the police ensures that nothing much is done. When you discover that your line is being swapped and report to Safaricom, most probably the crooked staff will assure you that your line is safe and ask you to ‘inbox details’ for a follow up. By the time the follow up is done, you’ll have been robbed. Sammy, a tweep, highlighted his case on twitter and all he was told was told to wait for a week. Most probably, his money will have been withdrawn by the time Safaricom gets back. “I have registered my Voice with Safaricom. So how was my line swapped despite me having alerted Safaricom that a fraudulent swap was imminent? How helpless is Safaricom that even with information that a fraud is about to happen, they cannot prevent it?” lamented Sammy, whose line had been swapped despite having alerted Safaricom. Dear @bobcollymore , I am a Safaricom customer with Tel No. 07213***73. I am a victim of a scam that happened to me yesterday. I got a call and I quickly realised that this is one of the cons and I disconnected the call without sharing any information. Another one, Mr Ndinya John from Mombasa, through his handle @jndinya, said someone kept beeping him three weeks ago. He did not make much of it until his phone lost network. Mr Stanley Wanjiku, the MCA for Ikinu in Kiambu County is another victim who lost Ksh1.9 million from his mobile money and two bank accounts, one of which was not linked to his mobile phone between July 3 and 4 in the SIM swap fraud. While we spoke to Mutiso*, he tells us the the cartel can easily kill you if they discover that you are investigating them. “We have four CID officers in Muloti and Bomet and two in Kericho who come randomly for their share. But they are dangerous, they can kill you if they discover you are investigating them. They can even kill me if they discover that I am sharing this information,” says Mutiso*. According to Mutiso*, the cartels can make as much as Ksh300,000 in a day, depending on how much money their victim has in their bank account and Mpesa. To him, within one year, he has been able to mint so much wealth that he has built a classic house as well as buying a fleet of motorbikes and opened a number of businesses for himself. Recently, Safaricom fired all its regional coordinators for selling agent phones worth Ksh44 million. Kahawa Tungu highlighted how Safaricom hires staffers without conducting due diligence, sinking the company into a conflict with its customers for fraud.